This will take you to the signup page. On here, choose your avatar from the left hand side (you can scroll through the choices with the arrows) and on the right hand side you can enter a username, email address and password. Please make sure you use an active email address as we will send you a verification email here. Click the Join now button when you have entered the information. This will take you to the Creator page. Once here, you can fill in all the information under the 'Join our creator program' section. Because you have already made an account, it will auto-fill your email address. 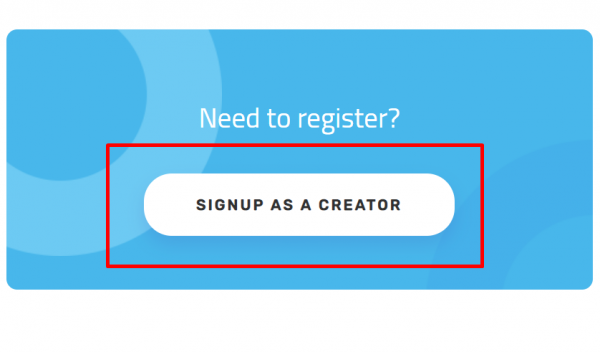 Once this is filled in, click on the Join Creator Program button, and you're now a Creator! See Unity Installation for the current version and installation walk through. Please note: we use a specific version (or range of versions) of the Unity editor, see the Unity Installation page for more details. Other versions may not work. The Space Editor Pack is an add-on for Unity which allows you to upload your content to Sinespace and contains all of the necessary components you will need for various content. You can find the Editor Pack versions and installation guide on our Editor Pack page. With the editor pack now installed, you will see a new button called 'space' in the top menu. 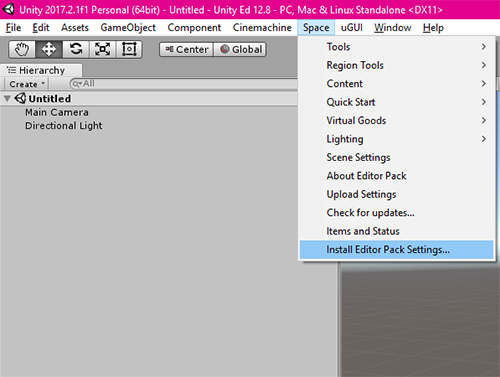 click on Space / Install Editor Pack Settings to enable the editor pack settings. 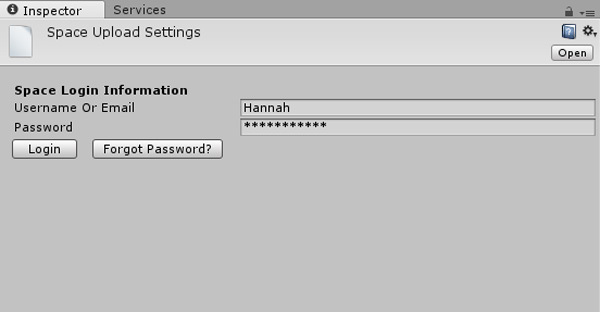 Then in the Inspector window on the right log in with the username and password you created at sine.space (above). You might have to switch from the Services window to the Inspector window. In the next screen Add your real name, a business name if you have one, review and accept the EULA for content creators. Accepting the EULA will allow you to access the creator server. Until you complete this step you will only have access to the live server. Follow the video tutorial on how to set up a basic region to use as a sandbox region. Congratulations! You are now ready to create and upload content to Sinespace!